Voicebot recently partnered with Witlingo to use its new Castlingo product that makes it simple to launch microcasts on Amazon Alexa and Google Assistant. Think of these as one-minute podcasts similar to a Flash Briefing. The result of the collaboration is a new Alexa skill and Google Action called, Voicebot Says, and a new Flash Briefing for Alexa called Voicebot Daily. The Voicebot Says Alexa skill and Google Action include a number of audio stories posted each day about voice assistants, AI, and related industry news. Each post is no longer than 77 seconds. It is a quick way to get your voice industry news of the day. And, you can listen to several days at once if you need to get caught up. After invoking the skill or Action, it will automatically start by playing the most recent post and then you have the option to listen to previous posts. You can also ask for specific types of information. For example, after you start Voicebot Says, you can ask for specific topics and it will automatically find episodes with that information. Today’s post is about the demise of social robot Jibo. If you invoke Voicebot Says, that is the story you will receive first. However, you can say, “Alexa, tell me about Black Friday” and it will start the episode from November 27th that offered a summary of some holiday shopping news. Google Assistant will even allow you to access information directly with a deep-link invocation. To try it out by saying, “Hey Google, ask Voicebot Says about smart speakers.” That will pull up a post from two weeks ago about smart speaker consumer adoption. We believe this will be a powerful tool for users to access relevant information in an audio format. We also launched a new Flash Briefing for Alexa called Voicebot Daily. It is 77-seconds of voice industry news that you can put at the top of your Flash Briefing list. Just go into your Alexa app > menu in upper left > settings > Flash Briefing. You can select the plus sign (+) on the right and then type “Voicebot” to find Voicebot Daily. Many regular Voicebot.ai readers have asked previously if we could take some of our written content and create a Flash Briefing. Castlingo made this simple enough that we could add this to our daily publishing activities. We hope many of you decide to start your day with Voicebot Daily. Castlingo is currently limited to the U.S., but has plans to roll out to other English-speaking countries soon. Please check out Voicebot Says on Alexa (Say, “Alexa enable Voicebot Says Skill.” Then say, “Alexa launch Voicebot Says.”) and Google Assistant, (no need to enable, just say “Hey Google, launch Voicebot Says.”). 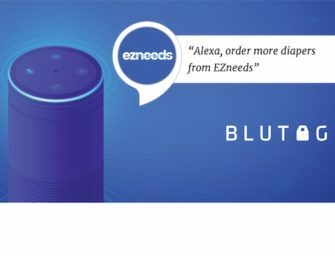 Also, add Voicebot Daily to your Flash Briefing list on Alexa and if you get a moment, we would really appreciate a 5-star review in the Alexa skill store or Google Assistant discover area. Let us know what you think on Twitter. You can create your own Alexa Skill for free using Castlingo here. You simply fill out a form online and download a mobile app to get started. Alexa Skill Voice Ratings Accelerate User Rating Submissions – Analysis of Box of Cats, Tricky Genie, and Heads Up!